Our website, located at coloradocapital.com and all sub-domains of coloradocapital.com (the “Platform,” “Website” or “Site”), provides online tools to assist companies, potential investors, and others who are interested or involved in the acquisition, development, leasing, management, and financing of real estate and real estate projects (“Investment Related Services”). “Investors” means, collectively, (i) Prospective Investors; (ii) Accredited Investors; and (iii) Existing Investors (each as defined below). "User", "you" or "your" refers to (i) Site Visitors and (ii) Registered Users, as applicable. A “Participating User” means a natural person who (i) is age 18 or older and (ii) has completed the registration process at our Site or a validly formed and existing business entity authorized to participate. For convenience, we use the term "Services" to refer collectively to the services we offer. To provide our Services, and facilitate exchanges between Participating Users, The Company, and Investors, we obtain Personally Identifiable Information from you. The ways in which you provide this information, and how we use and protect this information, are set out in Sections 7, 8, 9, and 12, below. 7.1. Services Available to Participating Users. Participating Users are entitled to review the portfolio of companies on the website. A Participating User is entitled as well to apply to qualify as an Investor on the Site, if he, she, or it chooses and is eligible. 7.3. Completing Your Registration as a Participating User; User Passwords. Upon completion of our registration process, you will receive a user name and password, which will allow you to gain access to more of the website. 7.4. Additional Information Required. The Company may from time to time require more information from you for compliance, tax, regulatory, or risk management reasons. You agree to provide such information to the Company promptly when requested. 8.1.2. Accredited Investors. An "Accredited Investor" is an Investor who has indicated, and SmartCapital has made reasonable efforts to confirm or verify (as the case may be), that they meet the definition of an “”accredited investor” contained in Rule 501 of Regulation D promulgated under the Securities Act of 1933. At present, it is SmartCapital’s intent not to permit any investor, irrespective of whether such investor qualifies as an “accredited investor” or not, to invest in any single offering a total amount in excess of 10% of the greater of such investor’s net income or net worth (in the case of a natural person) or 10% of the greater of such investor’s revenue or net assets for such investor’s most recently completed fiscal year, if other than a natural person, as the case may be. 8.2. Baseline Information. To qualify as an Investor on our site and receive the Investment-Related Services outlined above, you first need to provide Contact information, and complete the steps required to be a Participating User. You then must provide the additional information specified in following Section 8.3 (Identity Verification) and Section 8.4 (Investor Financial Information). 8.4. Investor Financial Information. We also require each Investor to provide the information specified below, consisting of Form W-9 Information, Specific-Qualifications Information, and Payment Information, as specified below. We refer to this information collectively as "Investor Financial Information." 8.4.1. Form W-9 Information. For tax purposes, we require that each Investor also provide a completed Internal Revenue Service Form W-9, which includes your Social Security Number (or Taxpayer Identification Number, where applicable) ("Form W-9 Information"). 8.4.2. Payment Information. In order to make an applicable investment through our Website, an Investor must provide us with certain account and other payment information, such as information needed to make payment via ACH, wire, electronic checks or credit card ("Payment Information"). Our registration process for Investors provides additional details on the types of Payment Information needed. 9.1. Required Notices. Where necessary to comply with Applicable Law, we will use Investor Financial Information for these purposes. We may use Contact Information and Investor Financial Information in a similar manner to meet these requirements. Registered Users cannot opt-out of this use of information. "Required Notices" means (i) formal notices from Regulators and (ii) other information that we provide in order to comply with Applicable Law. "Regulators" means state and federal regulators with jurisdiction over Offering Companies and this Website in accordance with Applicable Law. The term "Regulators" includes, where applicable, the United States Securities and Exchange Commission. 9.2. Processing Your Transactions. We use the Personally Identifiable Information you provide to process transactions that you have authorized us to undertake, and to provide you with the Services you have requested. Registered Users cannot opt-out of this use of information. 9.3. Operation of Our Site. We use your Personally Identifiable Information in the operation of our Website, and to comply with Applicable Law. You cannot participate in our Site if you seek to opt-out of these uses of your Information. 9.6. Feedback, Questionnaires and Surveys. Our Website may allow Site Visitors and Registered Users to participate in surveys and/or questionnaires, which from time to time we may post on the Site. We also encourage our users to provide feedback to us about our Site and our Services. You are free to choose whether you participate in these activities. We may ask that, in addition to providing your responses, you also provide Contact Information. In these instances, we use any Personally Identifiable Information you choose provide to us in connection with these activities strictly for the purposes for which you submit the information. We will use survey and questionnaire information – with any Personally Identifiable Information removed – for monitoring or improving the use and appeal of this Site and for other purposes (with no other obligation to you and, specifically, with no obligation to compensate you for these uses). You are not obligated to participate in any of these activities and, if you undertake these activities, you will have the ability to opt-out as provided in Section 11 (Changing or Removing Information; Opting Out). 10.2. Question of Harm. We may reveal your Personally Identifiable Information to attorneys, private investigator organizations or law enforcement agencies if we believe (i) that you are in risk of harm from another, (ii) that you are harming or interfering (or will harm or interfere) with others, or (iii) that you are violating (either intentionally or unintentionally) our Terms and Conditions of Use or are otherwise violating legal rights. We will take all reasonable steps to disclose only so much of this Information as is necessary, limiting the disclosure, for example (and where applicable), to Contact Information only. 10.3. Legal. The Company will reveal your Personally Identifiable Information to the extent we reasonably believe we are required to do so by law. If we receive legal process calling for the disclosure of your Personally Identifiable Information, we will attempt to notify you via the email address you supplied during registration within a reasonable amount of time before we respond to the request, unless such notification is not permitted. 11.1. Required Updates. Applicable Law places certain obligations on Investors to keep information current, including, for example, Form W-9 Information. We ask that you keep your information current. It is particularly important for you to keep your Investor Financial Information current, and to report to us any material change in this Information. We use this information to provide you with investment opportunities and financial distributions due to you as an Investor. Without current information, you receive information in error, which you are not eligible to receive or act on. If you have any questions concerning the importance of keeping your information current (particularly you Investor Financial Information), please contact us in accordance with Section 28 (Contact Us). 11.3. Opting-Out. You are entitled to decline to participate in certain Services, and to decline to give us permission (or to revoke that permission in your discretion) to use your Personally Identifiable Information for certain purposes. We provide you with the ability to decline – or “opt-out of” – receiving communications concerning, or being included in, these activities. Section 9 (How We Use Your Personally Identifiable Information) identifies the Services and uses for which you hold this opt-out right. To opt-out, please email us at [email protected], and we can also answer questions or assist if you contact us as provided in Section 28 (Contact Us). Please understand that you will not be allowed to opt–out of Required Notices or other legal and related notices concerning your relationship to the Site. 11.4. Deleting Information. Finally, if you request, we will take reasonable steps to remove your name and other Personally Identifiable Information from our databases. Please understand, however, that:(a) it may be impossible to remove this information completely, due to IRS and regulatory reporting requirements, investments on the platform and the rights thereof, and data backups and records of deletions;(b) if you request deletion of your information, you will be unable to use certain features of the Website and any associated Services; and(c) certain Personally Identifiable Information may remain in our databases following the deletion of your account.You may not remove de-identified, anonymous, or aggregate data from our databases. 13.1. IP Addresses; Logs. The Company may automatically receive and record information in our server logs from your browser, including your IP address (the Internet address of your computer), your computer's name, the type and version of your web browser, referrer addresses, and other generally-accepted log information. We may also record page views (hit counts) and other general statistical and tracking information, which will be aggregated with that of other users in order to understand how our Website is being used, and for security and monitoring purposes. None of this data contains Personally Identifiable Information. 13.2. Cookies. A cookie is a small amount of data, often including an anonymous unique identifier, which is sent to your browser from a website's computers and stored on your computer's hard drive. Cookies can be used to provide you with a tailored user experience and to make it easier for you to use a website upon a future visit. We may include cookies on our Website and use them to recognize you when you return to our Website. You may set your browser so that it does not accept cookies. Cookies must be enabled on your web browser, however, if you wish to access certain personalized features of our Services. 13.4. Click-Throughs. We may send email messages that use a “click-through URL” linked to content on our Website. When you click one of these URLs, you pass through our web server before arriving at the destination web page. We track this click-through data to help determine interest in particular topics and measure the effectiveness of our customer communications. If you prefer not to be tracked, simply do not click text or graphic links in the email, or notify us in accordance with Section 11 (Changing or Removing Information; Opting Out). Due to federal law (as reflected in the Children's Online Privacy Protection Act), WE DO NOT ALLOW INDIVIDUALS WHO WE KNOW ARE UNDER 18 TO PARTICIPATE IN OUR SITE OR SERVICES. YOU MUST BE AT LEAST 18 YEARS OLD TO USE OUR SITE AND SERVICES. Please understand that we cannot necessarily tell if a user is providing us with his or her true age. California law requires that we provide you with a summary of your privacy rights under the California Online Privacy Protection Act (the “Act”) and the California Business and Professions Code. As required by the Act, we will provide you with the categories of Personally Identifiable Information that we collect through the Website and the categories of third party persons or entities with whom such Personally Identifiable Information may be shared for direct marketing purposes at your request. California law requires us to inform you, at your request, (1) the categories of Personally Identifiable Information we collect and what third parties we share that information with; (2) the names and addresses of those third parties; and (3) examples of the products marketed by those companies. The Act further requires us to allow you to control who you do not want us to share that information with. To obtain this information, please send a request by email or standard mail to the address set out in Section 28 (Contact Us). When contacting us, please indicate your name, address, email address, and what Personally Identifiable Information you do not want us to share with Affiliated Businesses or Marketing Partners. The request should be sent to the attention of our legal department, and labeled “California Customer Choice Notice.” Please allow 30 days for a response. Also, please note that there is no charge for controlling the sharing of your Personally Identifiable Information or requesting this notice. We may allow certain corporations (other than Offering Companies), advertisers, and other entities to place ads and information on our Marketplace (collectively, "Corporate Participants"). Although we have permitted the Corporate Participants to exchange information via the Marketplace, we are not responsible for your choice to contact or do business with them. Your correspondence and dealings with Corporate Participants, and any other terms, conditions, warranties, or representations associated with such dealings, are solely between you and the Corporate Participant, and you agree that the Company shall not be responsible or liable for any loss or damage incurred as the result of your dealings with Corporate Participants or as the result of the presence of Corporate Participants in the Marketplace. In order to engage in the Services as an Investor, you will need to obtain legal rights, and undertake legal obligations, in addition to those set out in this Policy and, in particular, under the documents related to any such investment. These additional rights and obligations are set out in the particular documents for a given investment, that are provided to you in connection with your requesting to be qualified as an Investor, or contemplating (or making) and investment. Any such documents are available to appropriate Registered Users on our Site, located at www.coloradocapital.com. 24.1. Complaints and Suggestions for Improvement to Us. We want your feedback. If you have a suggestions on how we can improve our services or complaints you would like us to address about our Services, please contact us at the address set out in Section 28 (Contact Us). For more serious disputes, you must follow (and are bound by) the terms set out below in Section 25 (Mandatory Arbitration of Disputes). You may also bring these types of complaints to the attention of others, for an independent review, as provided in Section 24.2 (Complaints to Regulators). 24.2. Complaints to Regulators. If you are a California resident, you may report complaints to the Complaint Assistance Unit of the Division of Consumer Services of the California Department of Consumer Affairs by contacting them in writing at 400 R Street, Sacramento, CA 95814, or by telephone at (800) 952-5210. Other States may provide similar avenues for lodging complaints. Please check with your State's consumer protection authority. 27. Governing Law; Venue and Jurisdiction; Arbitration. 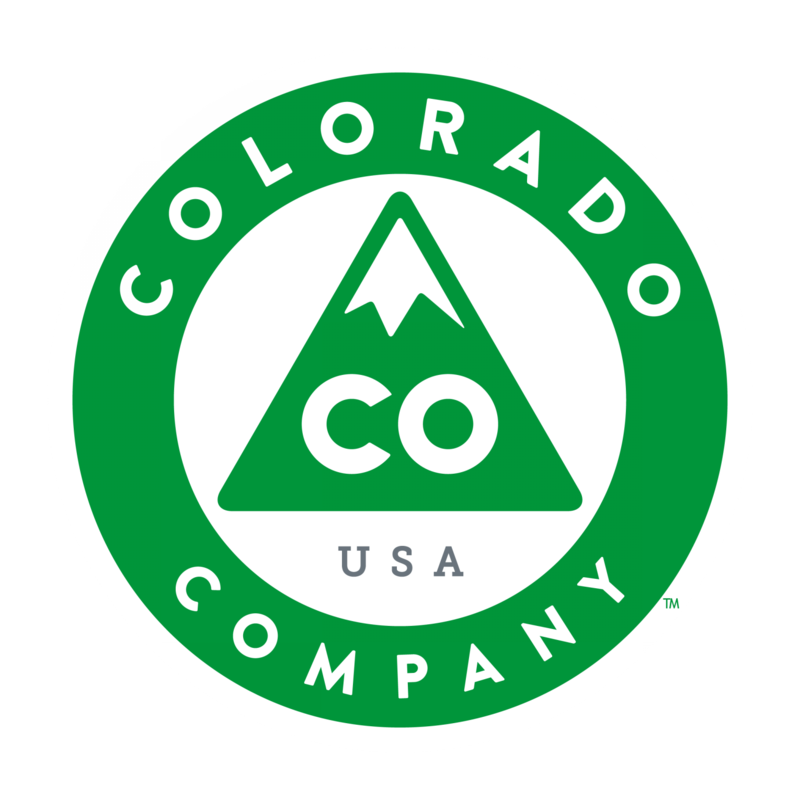 Copyright © 2019 SmartCapital Colorado 1 LLC. All Rights Reserved.